So, with that being said, I stumbled onto Jennifer Weiner's page and she actually offered some pretty helpful tips for writers who want to be published novelists. One of the most helpful points she made was to read! It sounds so obvious to most writers, but believe it or not, I've talked to writers that don't read. Ms. Weiner stated that we should read anything we can get our hands on. She said that if someone tells you to get your nose out of a book, tell them you're doing research. I never thought about it that way. My creative writing teachers always told me that you have to start to read like a writer. Now I finally get that concept! I find that when I read, I am studying the dialogue, analyzing the characters and plot structure, questioning whether the point of view works or not. When I read now, I take away so much more than just a good story. Ms. Weiner also suggested reading the news paper. I didn't realize how much inspiration could be drawn from picking up the New York Times and reading a couple of articles. At the moment I am on a "reading high," and I am taking Ms. Weiner's advice and reading everything I can get my hands on. 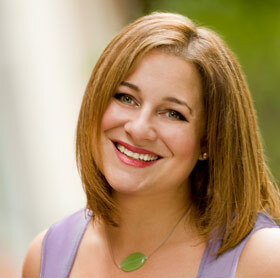 Thanks to Jennifer Weiner, I will sometimes shine the spotlight on authors who offer great advice. Check out Jennifer Weiner's website for the rest of her tips on how to become a novelist and for a list of books she's written so far. Do you read like a writer? What do you read to draw inspiration? Do you think writers should read everything they can get their hands on? Since I've started writing, I definitely read things with a sharper eye. I try to read various genres because I think each one has stuff I can take from it. That is awesome advice- I love to read so it's like a homework assignment that I am more than happy to do. I think whenever I read, I look at it like I am learning from it as well as enjoying the material. My brain just automatically works that way.